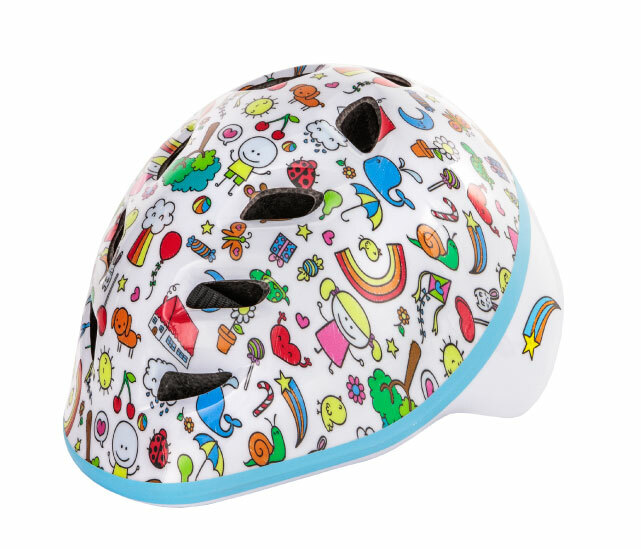 Rosebank’s Bubba helmet appeals to young kids and parents alike with it’s fun childish graphics and practical features. It has a built in visor and retention system for dialed-in comfort plus a deeper lower back shell for extra protection against tumbles. The microshell construction offers extra durability and the smooth shape allows easy use in strollers, child seats and trailers. This is the ideal first helmet for a child 1 +. The helmet is lightweight and ideal for children who are just developing their neck muscles. We advise not to put a helmet on a child under 12 months as their neck muscles are really not strong enough to support additional weight above their shoulders.